Jypyä Pop (Turku, Finland) on 11 March 2012 in Plant & Nature and Portfolio. Avec la gouztte d'eau superbe quelles belleépines sueprbe cpatage et compo. @Steve Rice: Thank you Steve. Beautiful sharp focus, nice shot. Very beautiful ! Superb light in the drops ! very pretty shot - love the droplets on the pine needles!! @Adela Fonts: Thank you Adela. @The Mouse: Thank you. I picked up at least ten photos of that branch, and one macro that I cropped. Nice to look good. Beautiful drops, nice capture !!! 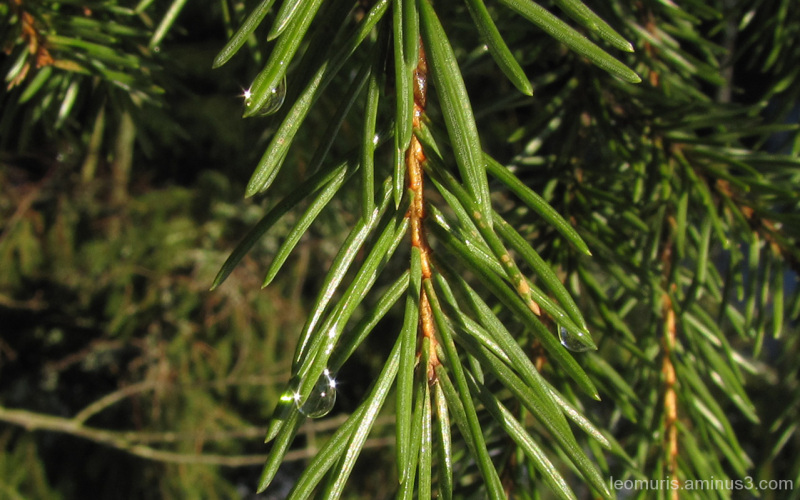 Beautiful droplets on the fresh pine needles, great capture!